TotalPond's Complete Floating Fountain with UV Cleaning Power is a 4-in-1 pond filtration kit that aerates, clean, illuminates, and decorates your pond water. Available at The Home Depot. TotalPond's Complete Floating Fountain with UV Cleaning Power is a 4-in-1 pond filtration kit that floats on the surface of your pond. This complete pond kit includes a 200 GPH pump, a UV Clarifier, 3 nozzle heads, and 4 LED lights. 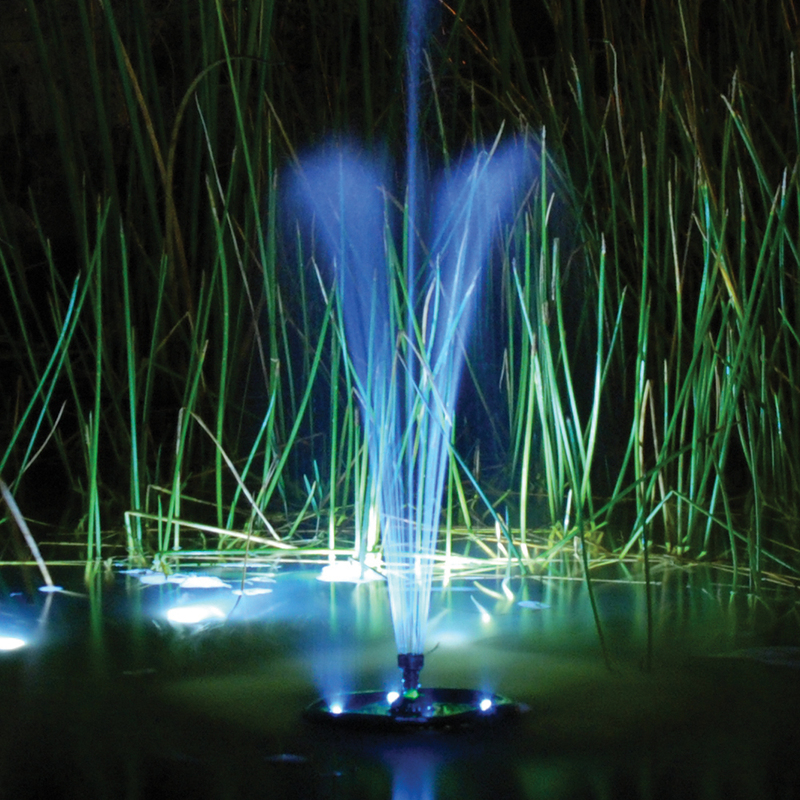 The Complete Floating Fountain with UV Cleaning Power is a 4-in-1 pond maintenance system that pumps, purifies, aerates, and illuminates pond water. Includes 200 GPH submersible pump, a 5W UV Clarifier, a nozzle head, and 4 built-in LED lights. Anchor ring allows you to anchor the Floating Fountain with UV Cleaning Power in your pond. A mesh barrier bag is included to prevent large debris from clogging the pump. No tubing is required to use the Floating Fountain with UV Cleaning Power. Dimensions: 11.8 x 13.4 x 11.8 in.